Scan Information - Diagnostic Healthcare Ltd.
MRI is a powerful diagnostic tool and frequently helps to determine the most suitable treatment option and plan management. You will be positioned on the moveable examination table. Straps may be used to help you stay still and maintain the correct position during imaging. Small devices that contain coils capable of sending and receiving radio waves may be placed around or adjacent to the area of the body being studied. If a contrast material is used in the MRI exam, a radiographer will insert an intravenous line (IV) into a vein in your hand or arm. A saline solution may be used and the solution will drip through the IV to prevent blockage of the IV line until the contrast material is injected. This helps to enhance the images usually in parts of the body which has poor natural contrast. You’ll be given ear phones with music or ear plugs to wear because of the scanner noise, and an emergency bell if you need to call the radiographer during procedure. You do not need to fast or follow a special diet unless specified. 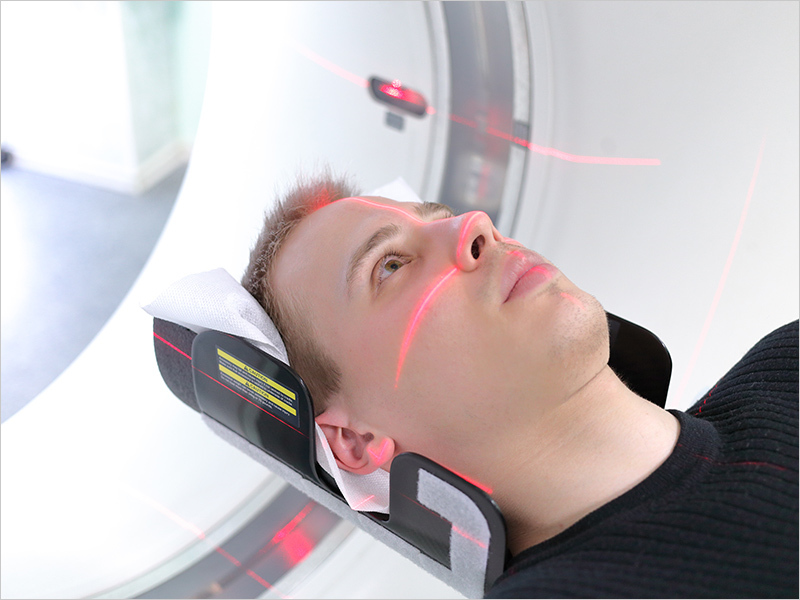 MRI scanners use powerful magnetic fields. Metal items can distort MRI images and may be a safety hazard if they become attracted to the magnetic field, so before your scan you must remove all external metallic and electronic items. This includes items such as watches, jewellery, hairpins, keys, coins, mobile phones and make-up such as mascara or eyeliner which may contain certain metal products. You should also remove any hair pieces with clips or wigs, dentures, make-up, spectacles and hearing aids you are wearing. All piercings must be removed. You should wear clothing without metal zips, fasteners, buttons, belts or buckles. If you are having a head or neck examination, please have dry, clean hair and wear no hair products. For most people, there is no danger associated with having an MRI scan. It is however very important that you tell the radiographer if you have any metal implants in your body. 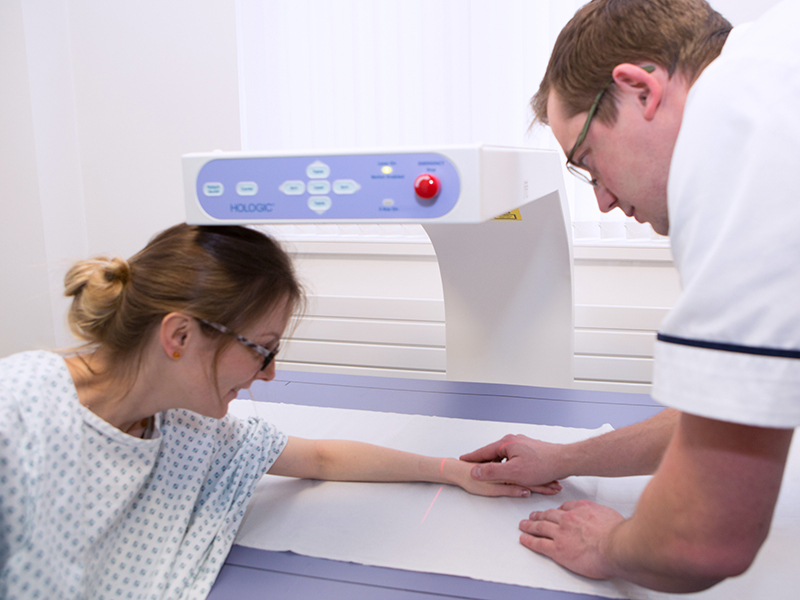 The radiographer will ask for your complete medical history and complete a questionnaire before the scan takes place. A Consultant Radiologist, who has been trained in MRI scan analysis, reviews the results of your MRI scan. The results cannot be given to you on the day because the analysis takes a relatively long time and can include a comparison with any previous MRI scans (if they have been provided). There is a waiting list for an NHS MRI scan, can I make a private appointment? Ultrasound can be very useful as a first line investigation; it is typically non-invasive, painless and does not involve ionising radiation. It is inexpensive when compared to MRI or CT.
Ultrasound is a very safe and well tolerated examination very good at looking at certain organs and diseases/problems associated with those organs. It is a painless examination using soundwaves, not x-ray, with no known harmful effects to humans. You will probably be asked to prepare for your scan by either fasting or attending with a full bladder (depending on the examination) and to wear loose fitting clothing. In most cases you will lie on a medical couch and the sonographer will apply a water based gel to the area to be scanned and then pass a probe over the skin but for some pelvic female examinations an internal scan (vaginal scan) may also be suggested. A chaperone is available for all intimate scans and you are also free to bring someone with you if you wish. 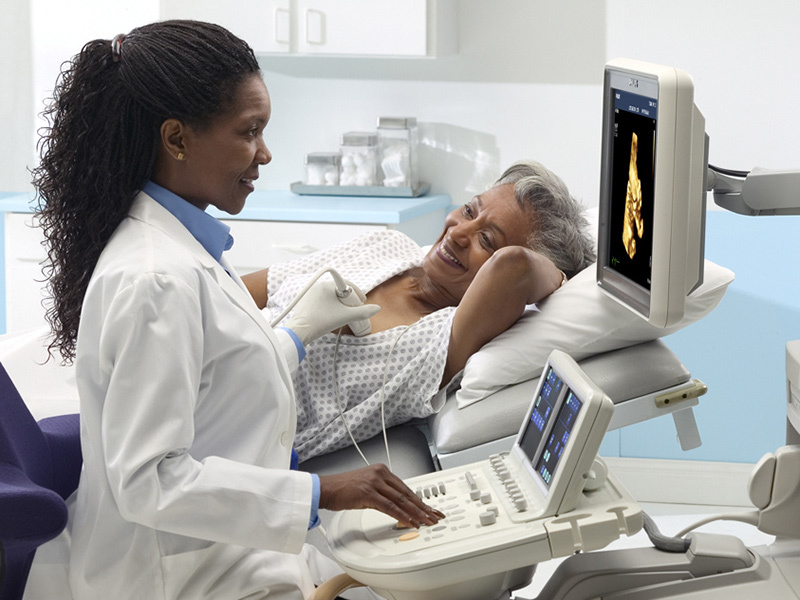 Ultrasound examinations are usually painless and easily tolerated by most patients. Most types of Ultrasound examinations are completed within 20 minutes. If a Doppler Ultrasound study is performed, you may actually hear pulse-like sounds that change in pitch as the blood flow is monitored and measured. When the examination is complete, you may be asked to dress and wait while the ultrasound images are reviewed. After an ultrasound examination, you should be able to resume your normal activities immediately. A sonographer will perform the scan and write a report based on what they have seen. In some cases the report and images will be sent to a consultant radiologist for a second opinion if the sonographer feels that this is necessary. Follow-up examinations may be necessary, and recommendations may be included in your report. Sometimes a follow-up exam is done because a suspicious or questionable finding needs clarification with additional views or a special imaging technique. A follow-up examination may also be necessary so that any change in a known abnormality can be monitored over time. Follow-up examinations are sometimes the best way to see if treatment is working or if an abnormality is stable over time. The sonographer will frequently be able to discuss the results with you on the day however we will quite often ask for the opinion of a Consultant Radiologist before issuing the final report within 48 hours which will include recommendations for follow up tests if required. The report will be sent to your doctor. There is a waiting list for an NHS Ultrasound scan, can I make a private appointment? Osteoporosis is a common condition that can lead to painful and disabling fractures. A DEXA scan is a quick, sensitive and accurate test that will specifically measure the density of the bones and is endorsed by the WHO (World Healthcare Organisation) as the Gold standard for diagnosing Osteoporosis. Those at risk need appropriate assessment of their bone fragility. Bone density assessments should ideally take place in those at risk of osteoporosis to identify early bone loss, to take action to improve this and prevent fractures. Who should have a Bone Density test? People who exercise excessively resulting in loss of periods or weight loss.